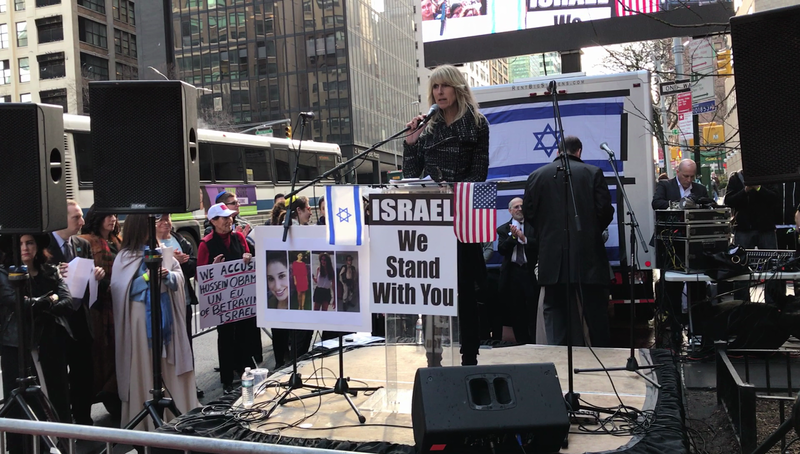 JooTube.TV: Americans protest Obama & Kerry's Paris Conference to carve Islamist Palestine in heart of Israel via U.N. The anticipated Paris Agreement not only states that the Two State “Solution” (TSS) is the only way to solve the conflict, but it will demand that both sides will not only have to restate their commitment to the TSS, but they must “disavow official voices on their side that reject this solution.” The Paris Agreement will do more. It moves the goal post even further into the Palestinian Arab’s fantasy world than it ever has been before. 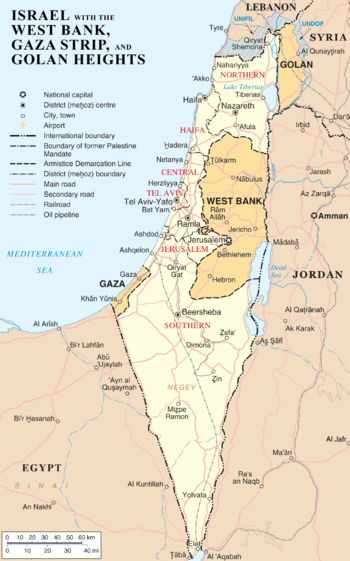 The Agreement will state that the borders between the Palestinian state and Israel will be set on the 1949 Armistice Lines (the Green Line), and that there can be no changes unless the two parties agree to such changes. What does that mean? It means “Palestine” only has to negotiate for land once it already has all the territory it could possibly gain ever through negotiations. Got that? Just as with the chimerical Two State Solution, the Arab Peace Initiative will unquestionably make the region far less stable, not more stable. For example, it demands the return of the Golan Heights to Syria. Oh sure, coming right up. So what new catastrophes for Israel has the Obama administration allowed – some say orchestrated – as it waltzes off the dance floor? The pronouncement that all of the land Israel acquired in defensive wars from the party which was not in possession of that land (nor has it ever been sovereign over any land) now belongs, according to the international community, to the Palestinian Arabs. The Western Wall, the Mount of Olives, all of the Oslo Accords areas C, B and A, all of it will now be deemed “Palestinian” land, occupied by Israel. The only permissible path to end the Arab Palestinian – Israeli conflict, according to the 72 countries expected to attend the Paris coven, is the one path that has been proven repeatedly to lead not to peace but to more bloodshed. And once the Paris Peace Party'ers approve the document already waiting for their sweaty signatures, it’s off in a flash to the United Nations for yet another calamity. Why the rush? That’s right. It’s because January 20th is coming. Once Obama leaves office and there’s a new sheriff in Dodge (i.e., D.C.), signing a death warrant for the Jewish State and granting the feverish wishes of the prig-elite who couldn’t be bothered with protecting the hundreds of thousands of Syrians who have been slaughtered on their watch will come to an end. So the rush is to do all possible damage before hand, with as much of it as possible impossible to undo. The whispered fears of another, final anti-Israel UNSC resolution before the end of the Obama era have increased in volume and velocity. 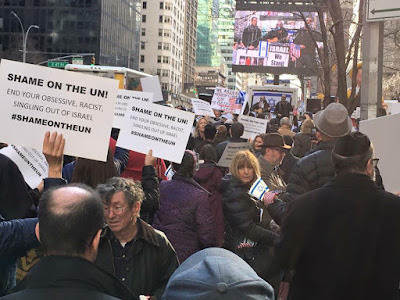 Jonathan Hoffman, a British pro-Israel advocate, reported hearing Britain’s Col. Richard Kemp state at an anti-UNSC R#2334 rally, that the upcoming resolution, buttressed by the document produced in Paris, is expected to be introduced and passed on Jan. 17. That resolution is expected to recognize the state of “Palestine” with its borders fixed along the 1949 (Pre-’67) Armistice Lines. Now that the Obama administration has revealed itself as determined to breathe life into a phantom Palestinian state regardless of the consequences, supporters of Israel are hoping at least one other permanent member of the Security Council will exercise its veto power. 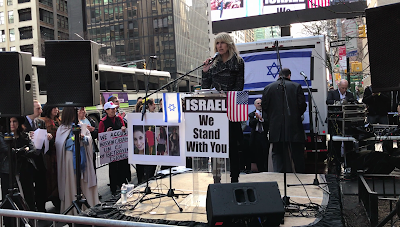 Great Britain’s Prime Minister Theresa May appears to be the single lingering hope for aborting the creation of yet another terrorist state. Perhaps sufficient lobbying by the right parties will enable her to stand up straight and prevent a disaster. But perhaps those orchestrating these new changes are being too clever. Perhaps, because so very much damage will come from these efforts, so much of which may be irrevocable, it will force the incoming administration to pull the nuclear option – defunding the United Nations. And by doing so much damage, the Obama Administration may create another previously unimaginable result: unfurling the fingers of those Jews still ardently clinging to the Democratic party.